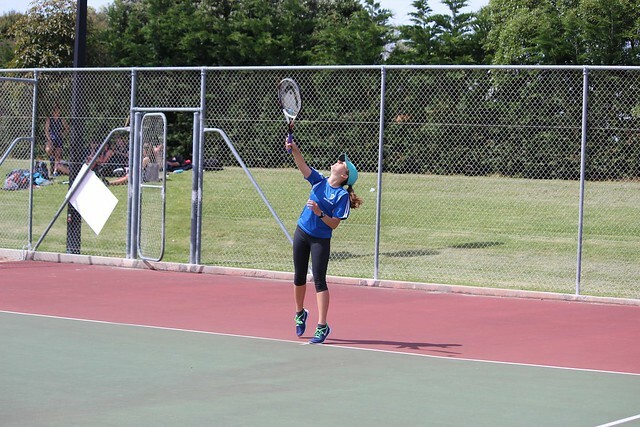 We were fortunate to have a perfect day for the BOP Junior Tennis Champs at the Papamoa Tennis Club - not too hot or too windy. It was a fantastic and excellent display of tennis, and top honours go to our BOP champions Nick Beamish from Rotorua Boys High School, who is ranked very high in New Zealand, and Hannah Walpole from Otumoetai College. More than 100 students from Rotorua Lakes, Western Heights, Taupo, Tauranga Girls' and Boys', Otumoetai College, John Paul College, Whakatane and Trident High School - all schools that had podium finishes this year.